Young Honiton carpenter Jake Pulman showed he really has nailed his new career by being crowned champion apprentice at Bovis Homes. 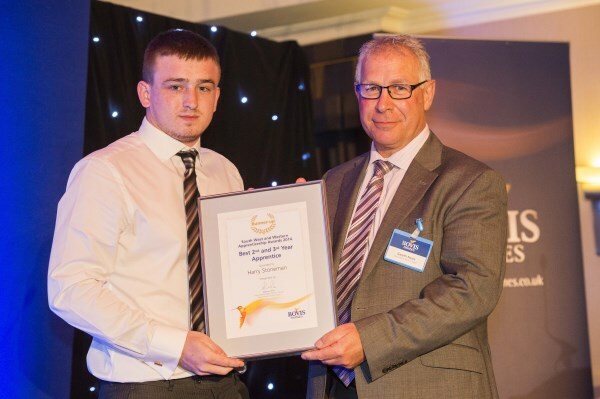 Jake, in his second year with the company, landed the blue riband prize and a £500 voucher when Bovis Homes held its Apprentice of the Year awards at Bristol. 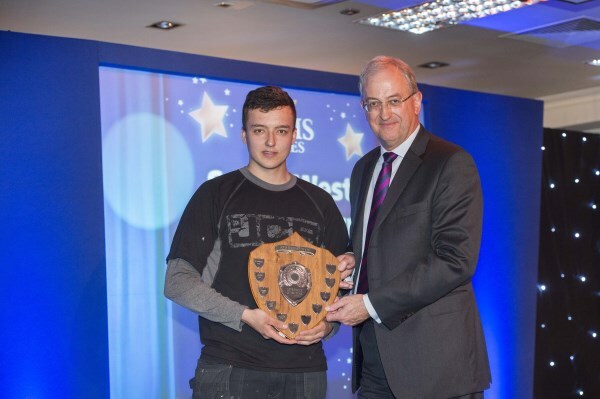 The 20-year-old, who is attending Exeter College and has been working on both Bovis Homes developments at nearby Cranbrook, was a worthy winner of the coveted Apprentice of the Year honour according to Bovis Homes South Division Managing Director, Malcolm Pink. "Our apprentice awards have been going from strength to strength since they started four years ago, and to be a winner you really do have to be the best of the best," said Malcolm. "Jake has only been with us for 18 months, but he has already made an impact and has just those qualities of commitment and dedication, together with a can-do attitude, that we look for and foster here at Bovis Homes." There was more success for Exeter College apprentices as Jake's colleague, former St Peter's C of E pupil Harry Stoneman, 18, was named runner-up in the best Second and Third Year category. "We're delighted to be delivering new homes around Devon and proud that we're providing opportunities for local youngsters like Jake and Harry to make the most of their skills and to give them a leg-up the career ladder," said Malcolm. Jake, a former Honiton Community College pupil, said: "I became an apprentice with Bovis Homes because it looked like an exciting career prospect, and it was the best decision of my life. "Not only have I learnt the skills for my trade, but I have learnt to be more confident and how to communicate with people on site in a clear and professional manner. "I do look forward to going to work every day. You're learning while you're working and you're getting paid for doing it - and at the end of it you get a recognised qualification." Bovis Homes have opened up ten new developments in the county since it started work on Heron's Reach at Cranbrook almost three years ago, and has a South West regional headquarters at Camberwell House in Exeter.